- Stretch when you wake up! It's a simple gesture but most of us don't do it. Seriously, it just feels good! - Lit a candle, enjoy a cup of tea (of coffee if you prefer)! Open up the window, step out to your balcony, breathe in some fresh air, and keep that computer close for a little longer! - We love to browse the net, no doubt about it. But give your eyes a little rest and pick up a book instead. 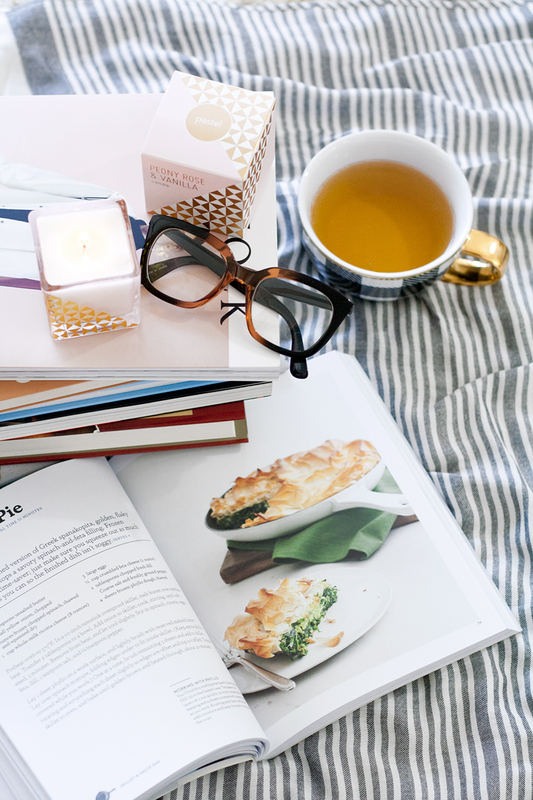 In my case, I love checking out cookbooks! 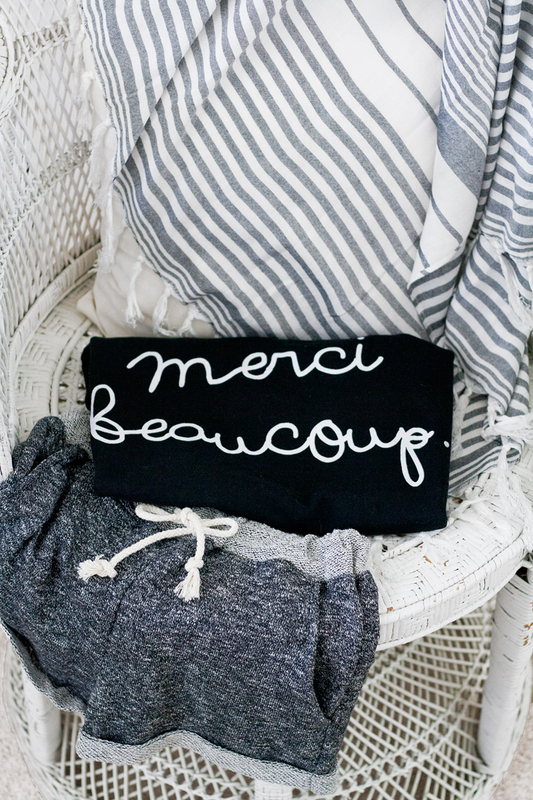 Merci Beaucoup sweatshirt c/o F21. 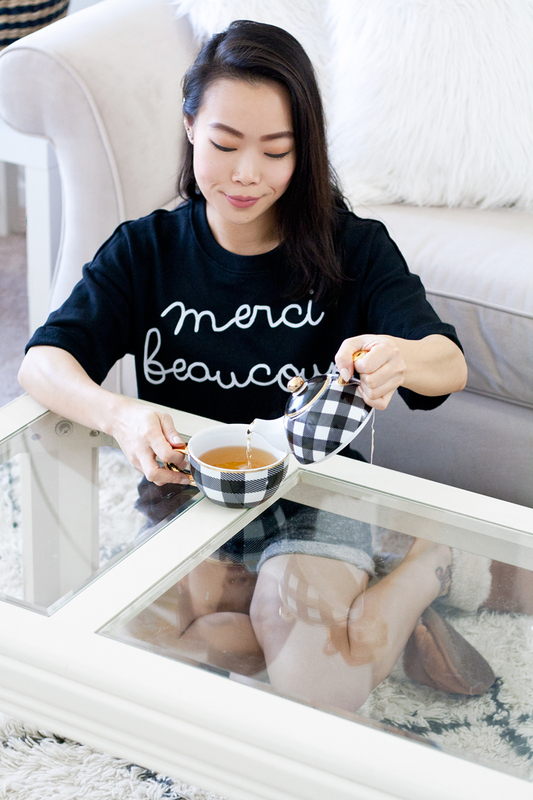 Marled french terry shorts c/o F21. Genuine suede slippers c/o F21. 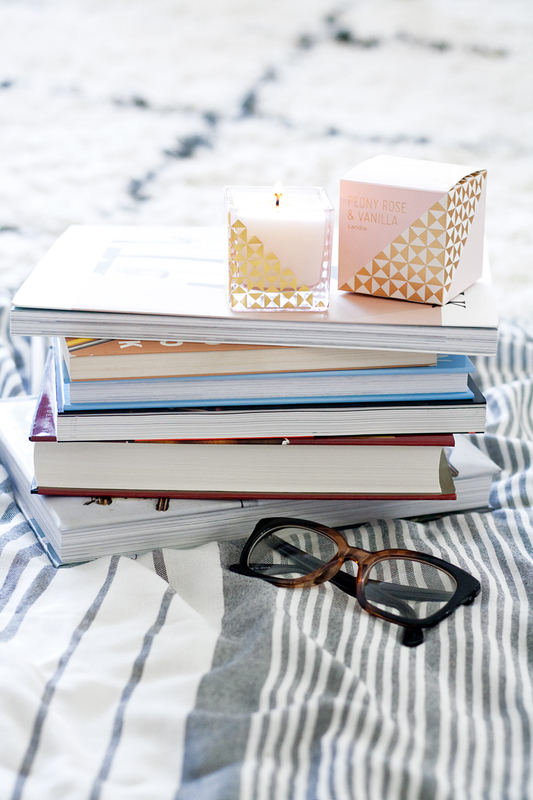 Fringe Studio peony rose and vanilla candle c/o F21. 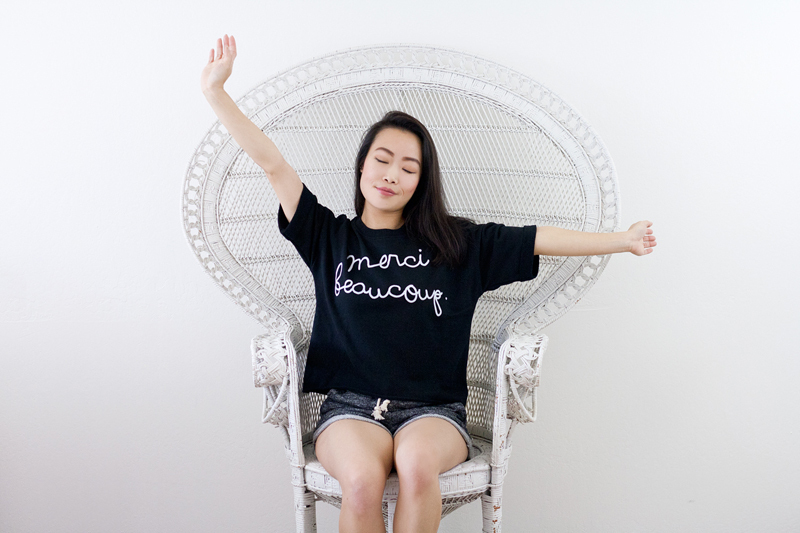 This post is also on the Forever 21 Blog! I agree, changing your mornings can also change the whole of your day!